Shades is a popular place to grab breakfast or a few appetizers/drinks when visiting Ocean Beach. The prime reason to plan a visit here over others in the area is to enjoy the beautiful views of Ocean Beach and the pier. Surprisingly, the food was not all that bad for a tourist restaurant. If you are seeking a quick, casual meal with friendly service, affordable prices, and fantastic views near Ocean Beach, then Shades is definitely your best bet. Shades serves breakfast, lunch, and dinner. Breakfast is a popular time to visit as you can get to the beach early to watch a sunrise (when it's much easier to find street parking) and then enjoy a hearty breakfast. Breakfast is served from 6:30am-2pm and includes options such as omelets, pancakes, and French Toast, Benedicts, egg scrambles, and several house specialties. A few of these unique entrees include a Calamari and Eggs dish, Cinnamon Bread Pudding, and Loaded Chilaquiles and Eggs. Lunch is served from 11:30am-4:30pm. For lunch, we tested out the Fish and Chips and the Grilled Salmon Filet with Salad. Both were good choices, although the salad could have included a few more veggies as opposed to the fruit and nuts. Also, even though I requested onions, the waiter forgot to add them to the order. The homemade fries, served with the fish, were really delicious and we could have kept feasting on them the whole day. There's nothing better than hot, crispy homemade fries as a treat every now and then! As our visit happened to fall during Happy Hours (offered daily from 4-6pm, and including both drink and cheap appetizer specials), we decided to test out a few. The Green Bean Frizzles, crispy fried green beans served with a side of hummus, were pretty tasty, although the serving was a bit small. Other items found on the lunch menu include a selection of flatbreads, soups and entree sized salads, tacos, burgers and sandwiches, and a few desserts. Dinner offers many of the same entrees as lunch, with the addition of few hefty entrees (seafood plates, steaks, mac and cheese, etc.). For the touristy location, the food is surprisingly decent, not as overpriced as we expected. We were pretty satisfied with the overall value of the meal. 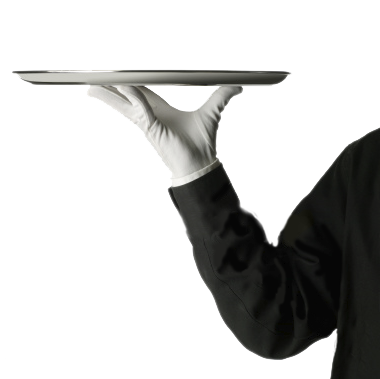 Service was pretty standard: professional and prompt. The restaurant was surprisingly empty on a weekend afternoon, so it was nice and quiet and we could pick out any seat we wanted. Shades offers a very laid-back, beachy vibe. It's perfect for anyone looking for a casual place to hang out before or after a visit to nearby beaches. The outdoor deck (which is dog friendly) offers the perfect setting for enjoying San Diego's mild year round climate. As you soak in the sunshine and enjoy the light ocean breezes, you can feast on your favorite comfort foods. Inside, the views are still fantastic from the floor to ceiling windows: you will be treated to one of a kind views of the Ocean Beach pier, as well as endless people watching opportunities. Overall, Shades is a solid place to enjoy a casual beach themed meal in San Diego. While far from the fanciest restaurant, nor serving the most fabulous food in San Diego, it is a nice option when you crave some tasty comfort food and a hassle-free, mellow dining experience.